Abstract—In recent years, a vast research has been seen going on in the field of Mobile Ad Hoc Networks (MANETs). Due to limited resources in MANETs, to design an efficient and reliable routing strategy is still a challenge. An intelligent routing strategy is required to efficiently use the limited resources. Also the algorithms designed for traditional wired networks such as link-state or distance vector, does not scale well in wireless environment. Routing in MANETs is a challenging task and has received a tremendous amount of attention from researchers around the world. To overcome this problem a number of routing protocols have been developed and the number is still increasing day by day. It is quite difficult to determine which protocols may perform well under a number of different network scenarios such as network size and topology etc. In this paper we provide an overview of a wide range of the existing routing protocols with a particular focus on their characteristics and functionality. Also, the comparison is provided based on the routing methodologies and information used to make routing decisions. The performance of all the routing protocols is also discussed. Further this study will help the researchers to get an overview of the existing protocols and suggest which protocols may perform better with respect to varying network scenarios. Index Terms—Mobile ad hoc networks, Routing Protocols comparison. Anuj K. Gupta is a research fellow in Punjab Technical University, Punjab, India. His research area is Mobile ad hoc networks, wireless networks & Data Communication. Currently he is working as faculty in CSE Dept. at RIMT-IET, Punjab. He is a member of IACSIT. Dr. Harsh Sadawarti is Director at RIMT-IET, Punjab, India. 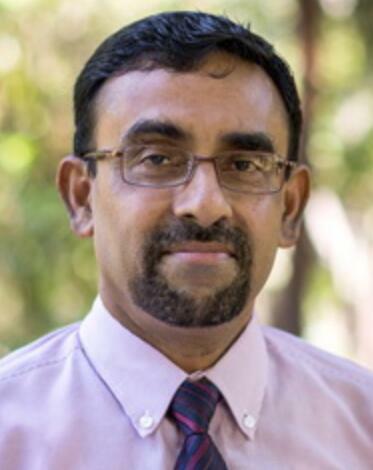 He has avast teaching and research experience of more than 20 years in the field of computer science. He is a member of IEEE. Dr. Anil K. Verma is faculty in Computer Sci. & Engg. Dept. at Thapar University, Patiala, Punjab, India. He has a vast teaching & research experience of more than 20 years. Cite: Anuj K. Gupta, Harsh Sadawarti, and Anil K. Verma, "Review of Various Routing Protocols for MANETs," International Journal of Information and Electronics Engineering vol. 1, no. 3, pp. 251-259, 2011.